Are you looking for a robust platform to help you manage and run your business online? With plenty of options available, a good place to start is narrowing down your choices by getting to know the best 3 ecommerce software solutions. We evaluated various products in the ecommerce category based on core features, integrations, functionality and value for money. After a thorough analysis, these three platforms emerged as the best, and we’ll show you why in a bit. What are the top 3 ecommerce platforms? BigCommerce, Wix, and Shopify are among the biggest names in ecommerce software. They are the go-to choices for first-time online sellers, too. The popularity of these platforms hinges on how easy and quick to set up both backend and frontend are, allowing any John and Jane to put up a web store in a snap. According to CNBC, Wix has a strong “Buy” consensus in Wall Street because of its ability to sustain high growth as it evolves into a full-service, cloud-based platform for small business, especially with its new products (Wix Code and Wix Payments) that hold high potential for boosting the trajectory of its growth. BigCommerce also raised a new funding of $64 million, adding to its total current round of capitalization of $200 million, which they will use to leverage their platform to develop new technologies. In a report by BusinessWire, BigCommerce CEO Brent Bellm says they will use this funding to stay competitive and current. Meanwhile, Fortune reports how online sellers in Shopify have generated sales of over $573 million on Black Friday. At its peak, products were sold on the platform for more than $37 million an hour. Shopify gives customers a reliable platform to shop using their computers and smartphones instead of visiting physical store locations. These numbers alone show the reliability and capability of these products. 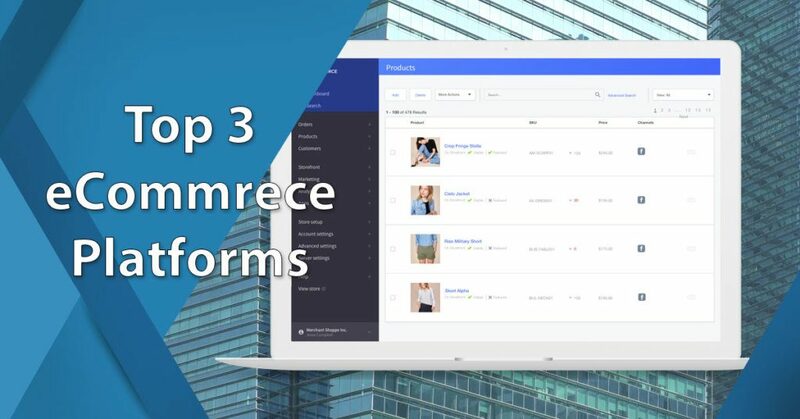 However, it is crucial to get to know the best 3 ecommerce software tools deeper to determine why these products are at the top of their category. BigCommerce is a highly scalable eCommerce software. It offers solutions for B2B and wholesalers, small businesses, commerce-as-a-service, and enterprises. This robust platform is equipped with all the essential features you need to manage your store online: intuitive design platform, marketing and conversion tools, as well as reliable performance and uptime. Among eCommerce builders, BigCommerce’s set of in-house features is unparalleled in providing high-caliber sales functionalities and minimizing the need for third-party systems. This extremely scalable eCommerce platform suits all fast-growing and large businesses. Loaded with powerful built-in tools, BigCommerce is a force to be reckoned with for users who are looking for a platform to support and boost their eCommerce website’s growth. BigCommerce lets you try the platform for 15 days if you sign up for BigCommerce free trial here. This can help you pick the plan that matches your business requirements more easily. To help you design your online storefront, BigCommerce has both out-of-the-box themes and advanced framework depending on your skill level. Searching for the right theme is streamlined as BigCommerce has categories for different industries and layout types. Having this option is essential since the platform’s designs include industry-specific features. If you want to maximize the theme’s functionality, it’s best to choose one that’s catered to your niche. This ecommerce software also provides you with various tools to handle your shipping and fulfillment operations. Payments can be processed through credit cards, PayPal, and digital wallets to offer convenient options to your customers. Furthermre, BigCommerce is loaded with conversion optimization tools designed for boosting revenue. BigCommerce gives you the flexibility to sell your products and goods on any marketplace. You can sell on eBay, Amazon, and Google Shopping. It has a native integration with Square POS, it can import PDF catalogs and sync inventories with ease. It also lets you sell on popular social media platforms such as Facebook and Instagram to reach more customers. Wix is a popular, easy-to-use website builder with a native ecommerce app. Getting started in designing your own website and making it look professional is streamlined based on your skills. Wix Artificial Design Intelligence (ADI) optimizes the website design process with no coding. It uses artificial intelligence to ask questions about your business and applies your answers to create a unique website. Wix Editor gives you more control over customizing your own layout with a drag-and-drop interface and visual components. Wix Code is available if you are looking for advanced functionality and API access in coding your own site design. Wix lets you immediately use the software at no cost and time limit when you sign up for Wix free trial here. The free trial enables you to get started in creating your site, customizing it, and publishing content with basic features. Note, the online store is a paid feature. The software packs in robust eCommerce tools in the Wix Stores app. Built into the Online Store templates, the eCommerce features enable you to sell unlimited products and digital downloads. Integrating the online store to your site is quickly processed with a single click. Products can be displayed beautifully using stunning, professional-looking templates that are mobile optimized. It makes sure your checkout process is secure with SSL-certificate, integrated shopping cart and multiple payment options such as offline payments, credit cards, and PayPal. Wix doesn’t take commission from your earnings. Its eCommerce plan best suits small businesses. Overall, it offers an all-in-one management solution for running your business online with shipping and pickup options, integrated email marketing, store manager, order tracking, and inventory management. Shopify is a highly popular eCommerce platform built for all types of people who are selling online, in-store, and everything in between. Like Wix, Shopify is made to be user-friendly with no design and coding skills required. It offers an array of well-designed themes that you can customize according to your branding. It is a centralized platform for managing your business from end-to-end. Shopify enables you to set up your online store for free and choose a plan later. You can sign up for Shopify free trial here for 14 days to determine which plan is suitable for you. For your online store, Shopify provides a drag-and-drop editor and mobile-responsive layouts so your customers can seamlessly shop on your site using any device. It also gives you insights about your business through comprehensive dashboards and streamlined marketing functionalities. It takes care of syncing your inventory and automating shipping and tax rates. Shopify’s mobile application also helps you stay connected for orders, fulfillment, and shipping on the go. Furthermore, Shopify offers numerous ways to sell. Shopify POS is available for leveraging your checkout process by accepting credit cards on-the-go and in-store. It has a retail package to empower you in selling in-store. If you are not using the Shopify platform, you can still use the software’s functionalities on any website with Shopify’s “Buy Button.” An embeddable code for products, collections and a shopping cart is generated so you can monetize your non-Shopify site. Shopify also integrates with Facebook Shop and Facebook Messenger to ensure your store is easily accessible on the social media platform. Wix, BigCommerce, and Shopify provide a robust set of eCommerce features that are crucial in running your business. This enables you to manage orders, shipping, and payments with ease and accuracy. The three products vary in their specialties, hence, understanding where they stand out is crucial in choosing which one works for you best. BigCommerce’s dashboard shows crucial information at a glance. Shopify is a go-to eCommerce platform because of its robust features for selling online. It helps you in order fulfillment, sales tracking, inventory, and payments.  It has abandoned cart recovery, multi-channel integration, SSL certificate, and multichannel selling. If you want to extend the app’s functionality beyond its in-house features, you can use Shopify’s extensive app store to add advanced tools. This makes Shopify the most customizable platform among the three products but with added costs. BigCommerce has rich built-in eCommerce features. Its app store is not as extensive as Shopify’s because most of the features you need are already included in its package. For instance, you can immediately sell digital, physical, and service-based products without having to purchase another app. However, since you don’t have control over which features you want to add – as they already come with the software – not only will it be overwhelming to start with, but you may also have to pay for features you won’t use. However, BigCommerce is hard to beat if you are looking for software to support your business growth. Its built-in abandoned cart recovery feature helps you win back prospective customers and prompts them to finish placing their order. The eCommerce platform also includes multi-channel integration so you can sell on Facebook, Amazon, eBay, and Instagram while you manage all your sales channels in a single, centralized hub. Since many of the features you need are already built-in, the software minimizes your expenses from purchasing third-party tools. Finally, Wix is a streamlined eCommerce system that appears to be more stripped back compared to the other two products. However, that doesn’t mean it’s not as robust – if you are its right user looking for a simple, straightforward platform to start selling a couple of products online. Wix is packed with the essentials you need to create a website from scratch with an online store. Aside from the basics, Wix also offers valuable features like a secure shopping cart, customizable thank-you messages, and ribbon for announcing limited stocks or advertising promo and sales. If you need more features, you can browse through the Wix Market App to integrate third-party tools such as abandoned cart recovery, LiveChat, PayPal Button, and Etsy shop. The three products give you professional-looking designs to attract customers and streamline how they navigate around your site. Wix is more design-oriented while Shopify and BigCommerce are more sales-focused. Which one is right for you? Wix stands out in letting you customize your layout with no coding required. At its core, Wix is a website builder which means it gives you the most options to build a website, not just its storefront, to your liking. In fact, it has more than 500 themes that cater to a variety of industries. Its drag-and-drop interface enables you to customize the template based on your branding and design skills. It has options for Wix Artificial Design Intelligence, Wix Editor, and Wix Code. Wix shines in providing simplicity, ease of use, and beautiful templates for your online storefront. Shopify’s and BigCommerce’s themes are not as many or as eye-catching as Wix’s. However, their themes are designed for selling, built in with a web storefront and backend. For instance, BigCommerce’s themes are industry-specific. A product zoom feature, for example, for clothing retail shops is already included in the template. The two products offer around 10 free themes and more than 50 paid themes. BigCommerce has one advantage in this space: it offers flexibility when you change a theme. It automatically reformats your content to suit the layout of your new theme so you don’t have to start from scratch in designing your site. It also has a WYSIWYG editor which is similar to Wix ADI, which cuts short the time in layout customization. Meanwhile, Shopify has the advantage in terms of customization for both desktop and mobile viewing. Shopify designs are also more modern and future-proof. All three products give you and your customers secure payment gateways. Wix provides you with the most popular and leading payment channels. BigCommerce and Shopify give you more options if you want to offer additional payment gateways. Shopify supports over 100 payment gateways – the most number of options among the three products. It also has its own payment gateway: Shopify Payment. This service offers direct payments and no transaction fees. It eliminates the need for setting up a third-party provider as it is fully integrated into your web store. Wix Stores accept payments from 12 major payment processors including PayPal, Stripe, and Square. It also accepts credit cards and manual payments. Its POS feature lets you collect payments using your phone. It has the advantage of zero transaction fees which means you get to keep all your profits. BigCommerce and Shopify offer the same payment channels as Wix. In addition, BigCommerce and Shopify also accept payments from Amazon, Apple Pay, and credit and debit cards. One advantage of BigCommerce is it has an array of digital wallets such as Chase Pay and Venmo. Just as important as choosing the right product is the quality of support given by your chosen vendor or partner. If you encounter problems with your site – difficulty in templates, downtime, or technical issues, among others – you’d want to be able to reach your vendor’s customer support on convenient channels such as email, phone, live chat, and social media. Shopify and BigCommerce offer phone and live chat support 24/7. Meanwhile, Wix and Shopify have support accounts on social media for more accessibility. Wix also has the advantage of a clearer help center compared to the two. Hence, in addition to its support channels, its in-editor help is more intuitive so you don’t have to open a separate page to see the answers. This feature makes Wix a more comprehensive solution. One of the most important aspects of choosing a software that can even make or break your decision is its price, or more importantly, its value for money. It’s worth to pay for quality products but, at the same time, they shouldn’t break the bank. BigCommerce, at first glance, is the most expensive. Its starting plan is priced $29.95 per month with no transaction fees. Its extensive list of built-in features may come as a disadvantage if you don’t use all its included tools as you will still have to pay for them. However, if growth is your priority, as you should, BigCommerce offers the best value for money. Despite the higher price point, it is more cost-effective than Shopify and Wix in the long run. On the other hand, Wix is more affordable. In fact, you can start creating your site for free with no time limit. To use Wix Stores, you will need to subscribe to the premium plans – eCommerce or VIP – which cost $16.50 per month and $24.50 per month, respectively. This will give you access to the app’s eCommerce features, unlimited bandwidth, 20GB storage space, and email campaigns, among others. If you want more features, you can add tools from its marketplace. Since lowering the cost of its plans, Shopify becomes more accessible to businesses that are still starting out. From $29 per month, its basic plan now costs $13 per month. This plan already supports abandoned cart recovery gaining it an edge over Wix as the latter needs to integrate another tool to offer the feature. However, unlike Wix which has zero transaction fees, this plan takes 2% transaction fees. Shopify lets you add third-party tools (while BigCommerce already includes most of these features in the plan) which lead to additional costs – something to keep in mind when considering the price points of each product. BigCommerce also eliminates the need to migrate to a more advanced ecommerce platform should you require one day. Since BigCommerce is ideal for fast-growing businesses, the product will embrace and leverage your growth. In this article, we compared the best 3 ecommerce software solutions: BigCommerce, Wix and Shopify. Each of them delivers exceptional features and functionality unique to a particular need. BigCommerce has the best offerings in eCommerce tools and pricing. Wix leads in theme designs and customer support. Meanwhile, Shopify has the advantage of having the most payment channels and its own, direct payment gateway. Still, we give BigCommerce our nod because of its unbeatable built-in sales tools and value for money. It is robust for large businesses even as it can support growing SMBs. BigCommerce is ideal for large and fast-growing businesses. It is a key player in the eCommerce industry because of its highly scalable platform. It has more in-house features also compared to the other two The software has robust SEO functionalities to increase your web store’s search ranking. When a customer looks for a product online, BigCommerce can help your store be more discoverable. Furthermore, it supports multi-channel selling so you can reach more customers. Wix is a strong contender as an entry-level yet robust eCommerce platform because of its easy-to-use interface, beautiful designs, affordable plans, and reliable apps. This is perfect if you are still starting out, looking for a simple eCommerce platform, and offering only a few products. This will give you the simplicity and straightforwardness you need to start selling online with all the essential features and ability to extend its capabilities. It offers the best designs and the most themes to choose from. Coding is not needed to customize your site based on your branding with the simplicity and consolidation of an eCommerce software and website builder that is hard to beat. Meanwhile, Shopify can cater to businesses of any size – from startups to larger ones. It is customizable and it gives you more control into configuring the platform based on your branding. While it’s highly scalable, the cost for add-ons may add up in the long run. Overall, it’s easy to use, extensive, and flexible to suit your eCommerce needs. There’s more to eCommerce platforms than these three. If you want to get to know more, you may read our extended list of best ecommerce software platforms compiled by our team of experts.